Service: Curatorial consulting, development, art production on-site & artist management. Justkids co-curated and produced the art segment of this amazing collaboration project, which took over Miami, LA, Chicago, Cincinnati and New York with artists Kiik Create, Charlie Edmiston, Justus Roe, Xylene Projects and SEN2 respectively. 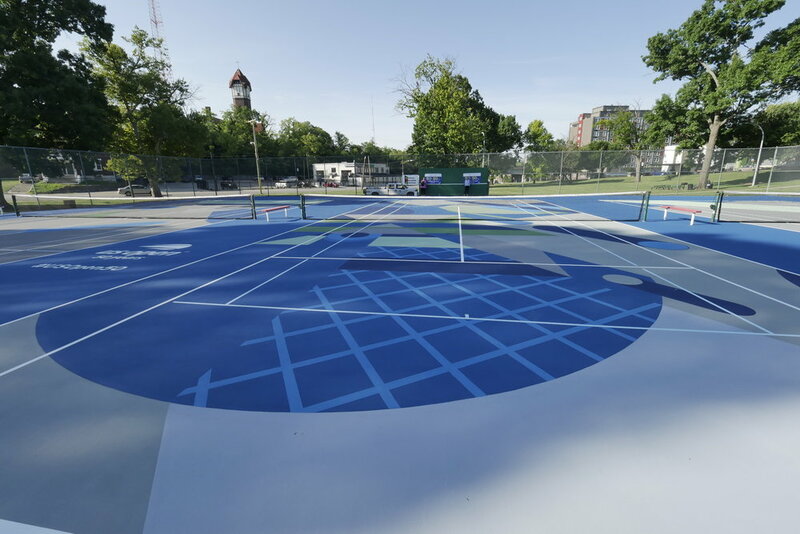 In 4 months (April - August 2018) we'll be hit public the courts of 5 major US cities to bring some color and vibrancy to local NJTLS (National Junior Tennis & Learning Chapters). Location: Harvard Park and Recreation Center, Los Angeles, CA. 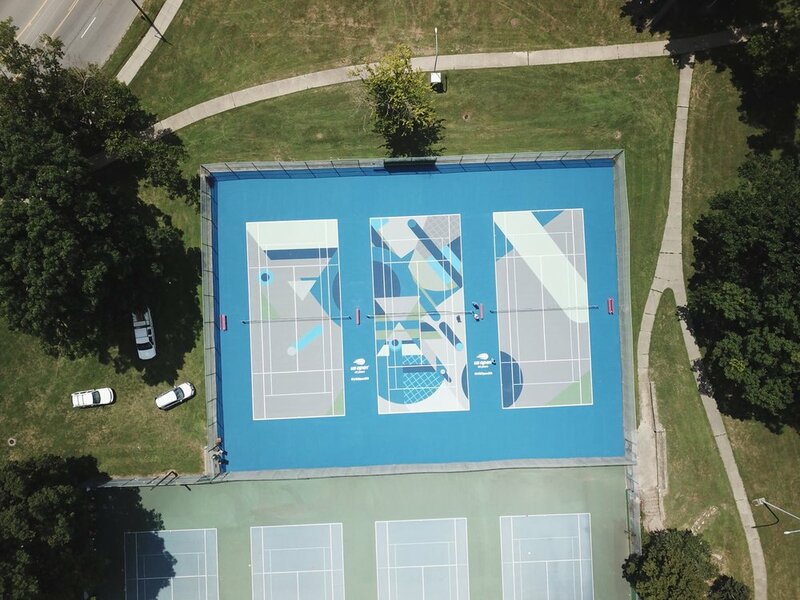 Location: "The Triangle" Tennis Courts: Losantiville Recreation Park, Cincinnati, OH.